Angket Condominium floor 10 on Soi Boonkanjana close to Jomtien beach. Studio with fully-equipped fitted kitchen, bathroom, balcony, good sea view. 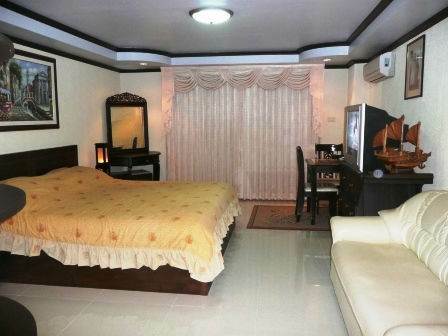 Reception, swimming pool, under-cover parking, 24 hour security, CCTV, fitness centre, laundry, shop. Air con, fridge/freezer, cooker + extractor, microwave. Cable TV, DVD player, electronic safe. Hot water from the shower, bathroom washbasin, and kitchen sink. Maintenance 670 Baht per month. Foreign ownership. Our reference JTC1052. Please phone 084-864 6068 to view.